Brenda Natarajan is an attorney in the firm’s Corporate Department. Her practice focuses on providing corporate and commercial counsel to companies ranging from start-ups and closely held private businesses to middle-market companies. Ms. Natarajan represents clients in various industries, including technology, financial services, manufacturing, apparel, entertainment and real estate. 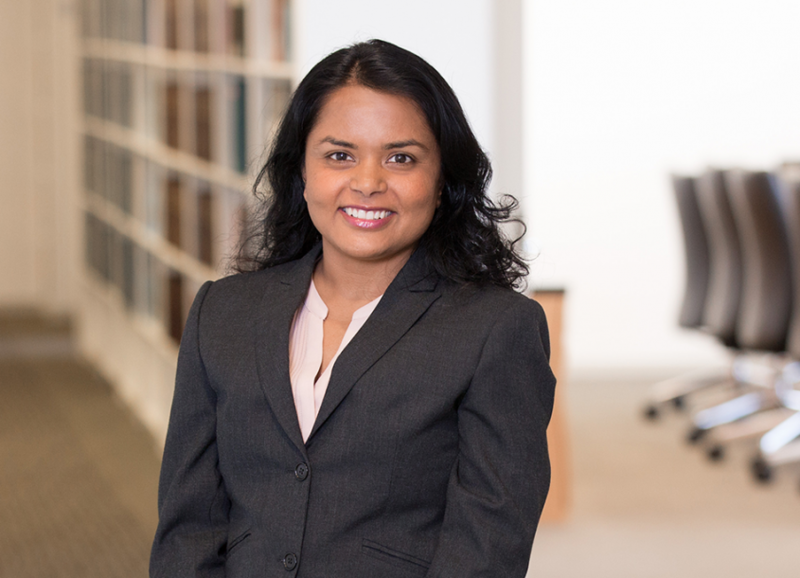 Prior to joining the firm in 2018, Ms. Natarajan practiced corporate law in New York City for seven years. Represented a family office in the acquisition of limited partnership interests in the holding company of a Major League Baseball team. Represented a foreign-based investment company in $73 million sale of a hospitality industry franchise business with operations in the U.S. and Canada. Represented a wholesaler in disposition of business through the sale of a warehouse facility and a separate sale of assets, including inventory. Represented a media company in negotiating a video game development agreement and subsequent agreements with various celebrities for the use of their name, image and likeness in the video game. Represented a retail specialty parts supplier in negotiation of software development and distribution agreement in connection with the expansion of client’s business to an online platform. Advised clients regarding prosecution of software copyright including, redaction of key source code lines. Represented a record label and its affiliated artists in negotiating agreements with a video game company for the development of a video game, including the exercise of options for the development of additional games. Worked on the UDRP (Uniform Domain-Name Dispute-Resolution Policy) in connection with new gTLDs (general Top Level Domains). Represented a distressed hedge fund in corporate restructuring transactions with creditors and responding to inquiries by the Securities and Exchange Commission. Represented the general partner of a real estate limited partnership in connection with a settlement of disputed amounts from the sale of the underlying real property. Assisted in reconstructing approximately twenty years of real estate transactions in connection with a forensic accounting firm to develop a valuation of each of the general and limited partnership interests. Negotiated a settlement agreement among the general partner, limited partners and various other creditors.